Dear Friends and world music lovers! Be part of the Global Toronto Conference! Taking place from April 4-7, 2018, this four-day event will feature a series of concerts all over Toronto, and Blisk is performing! Where: Aga Khan Museum in the yurt. When: April 6 @3:35 - 4:00 PM. Blisk is a synthesis of polyphonic Balkan and Slavic song, dance and movement backed by hypnotic percussion. Experience a musical journey through Macedonia, Serbia, Bosnia, Ukraine, Poland, Russia and beyond. 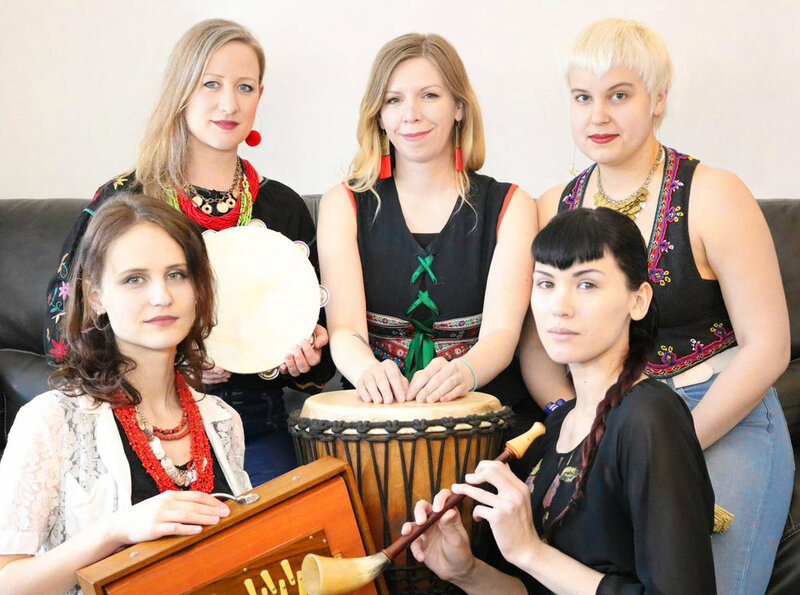 Based in Toronto, the members of the group hail from Poland, Ukraine and Kazakhstan, and were brought together by a deep love and respect for these ancient songs and dances. They made their public debut in December 2017 at the Aga Khan Museum opening for JUNO-nominated Turkwaz.